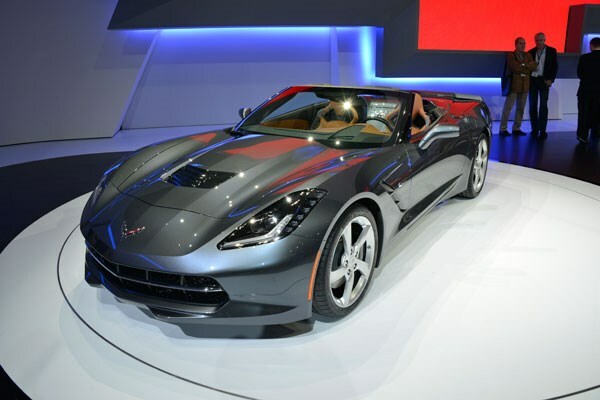 The main draw on the Chevrolet stand is the roofless version of the new ‘Vette Stingray. It looks similarly dramatic to the closed-roof version, and shares the same 6.2-litre V8 engine putting out around 450bhp. Losing the roof means the cabin’s interior trim, which includes plenty of leather, carbonfibre and aluminium, is all the more visible on the show stand. Handily, the folding top can be raised and lowered while driving at speeds of up to 31mph and can also be operated remotely when the car is parked via a button on the key fob. Chevrolet says that despite lopping the roof off, the Convertible is very nearly as rigid as the Coupe with much of the aluminium structure unchanged. Along with the Coupe, it will hit global markets before the end of the year. Chevrolet hasn't got much to shout about this time around so it wheeled out the Spark Electric Vehicle that made its first appearance in Los Angeles last year. The battery-powered city car has zero emissions but has a rather impressive peak torque of of 542Nm. It delivers 130bhp and that helps it get from 0-62mph in just under 8.5 seconds. Predictably, power comes from a lithium-ion battery that you can charge from the household mains. Fast charging achieves up 80% of its capacity in approximately 20 minutes while a normal charge from the mains takes between six and eight hours. A charge cord set is standard. Inside there's two large seven-inch full-color LCD screens for infotainment, cabin climate controls and energy-efficiency data. It also features Chevrolet's MyLink connected radio technology as standard, which allows users to connect compatible smartphones to the radio with its high resolution touchscreen. The refreshed Captiva gets new LED tail lamps, angular chrome exhaust tips and a remodelled bumper at the rear while the nose features a lower bumper, a new grille mesh as well as restyled foglamps. New 18-inch alloy wheels have been fitted to make the Captiva look more purposeful. It also get keyless entry and start as standard on upper trims while there's restyled trims in the instrument panel. 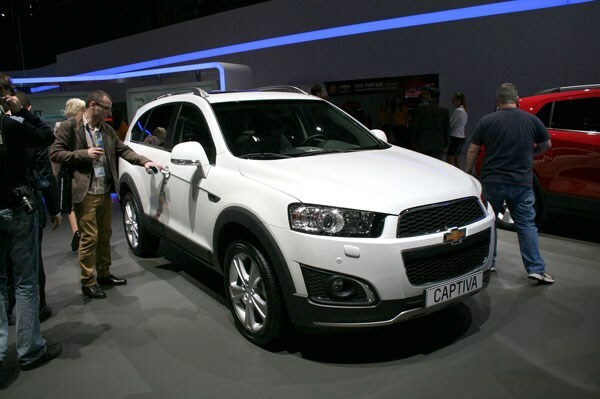 Read more about the Captiva here.